The Predators match Colorado for the longest winning streak in the NHL this season. The victory kept Nashville's edge at six points ahead of Winnipeg and Vegas for the Western Conference lead. 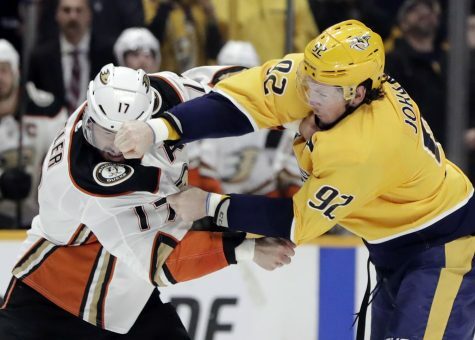 NASHVILLE, Tenn. (AP) — A year after an appearance in the Stanley Cup Final, the Nashville Predators have been hard at work preparing for the postseason. Craig Smith and Viktor Arvidsson each scored. Filip Forsberg had two assists for Nashville, which honored David Poile before the game for becoming career wins leader among NHL general managers with his 1,320th victory last week. The Predators didn’t miss a beat as Smith scored at 5:26 of the first period with a writer that beat Gibson glove-side. Then Forsberg found Johansen at the edge of the crease with a pass, and Johansen redirected it for his 10th goal at 15:10. The Ducks went on the power play late in the second period, and the Predators quickly turned that into a 3-0 lead. 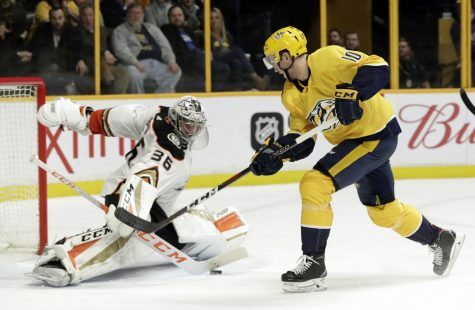 Colton Sissons skated up and took a shot, then Watson scored off the rebound with 1:18 left for his third short-handed goal this season — tied for second in the NHL. Notes: Nashville improved to 30-2-3 when leading after two periods. … Smith has 21 goals this season, three away from matching his career best. … Ryan Hartman has four points (two goals, two assists) in six games since Nashville picked up him in a trade from Chicago. … Forsberg has five points (two goals, three assists) in his last five regular-season games against Anaheim. 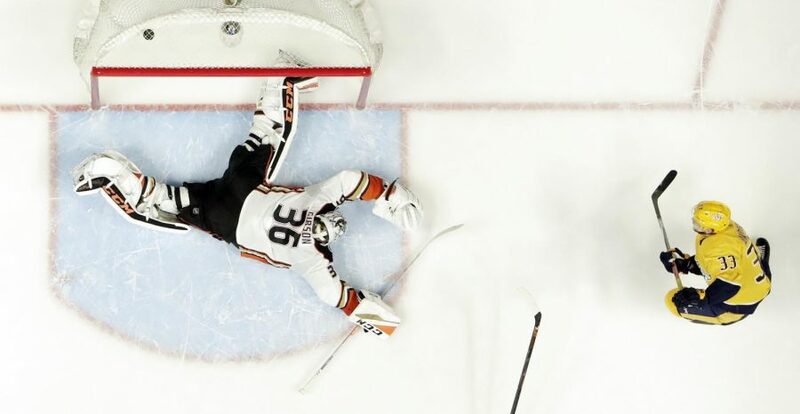 … Rakell has a five-game point streak (seven goals and two assists).